× Want to book your appointment at Subhadra Gastro Hospital ? Write to us here and we will give you a callback. What is Key Hole Surgery? For Gynecological issues - Keyhole is widely used in study and treatment of those conditions, which affects reproductive system of females. Gastroenterology - Conditions, study and treatment, which relates to the digestive system. Urology - Medical conditions or problems regarding the urinary system. Keyhole surgery can be used in many other medical conditions or problems as for appendicitis, abdominal pain, fibroids and many more. Laparoscopic surgery starts with general Anaesthetic, so the patient would not feel pain during the procedure. Surgeon gives one or more small incision in the abdomen. 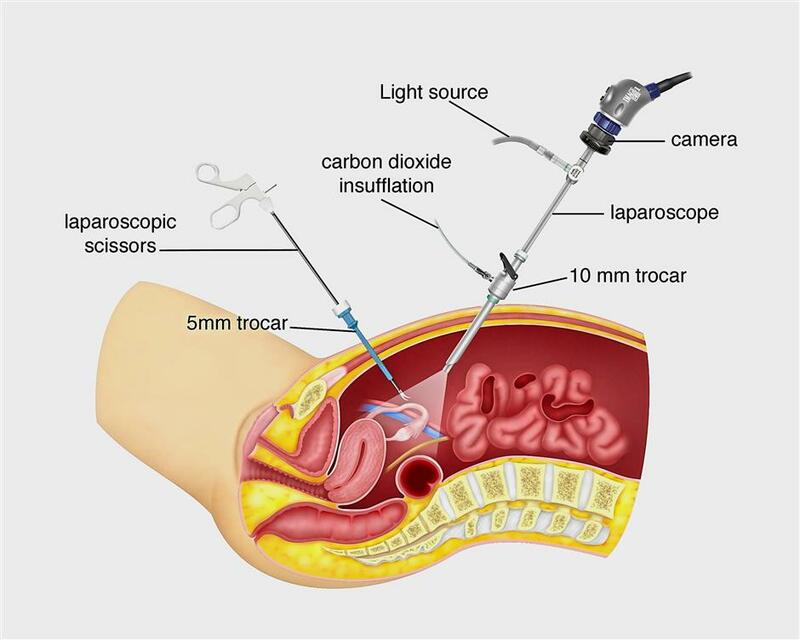 Through incision surgeon inserts Laparoscope, small surgical tools and a tube which comes in use to pump gas in the abdomen. All these surgical tools make surgery easier to observe every small thing and operate. Gas releases out of abdomen, incisions closes with stitches and dressing is applied. Surgeons of Subhadra Hospital allow discharge of some of the patients on the same day of surgery or in some cases patient need to stay overnight. Dr. K. S. Purohit is well known for Keyhole surgery in Ahmedabad, Gujarat, we do every year several surgeries of out of Gujarat patients also. Subhadra Hospital is framed name for keyhole surgery in MP and Rajasthan.